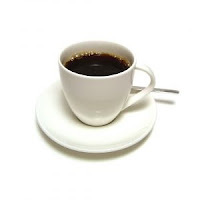 Can High Blood Caffeine Levels Delay Alzheimer's? This statement will probably get your dander up. Can drinking coffee make a difference. Slow down the onset of Alzheimer's, or reduce the risks? Read on below to find out the latest. Those cups of coffee that you drink every day to keep alert appear to have an extra perk – especially if you're an older adult. A recent study monitoring the memory and thinking processes of people older than 65 found that all those with higher blood caffeine levels avoided the onset of Alzheimer's disease in the two-to-four years of study follow-up. Moreover, coffee appeared to be the major or only source of caffeine for these individuals. Researchers from the University of South Florida and the University of Miami say the case control study provides the first direct evidence that caffeine/coffee intake is associated with a reduced risk of dementia or delayed onset. Their findings will appear in the online version of an article to be published June 5 in the Journal of Alzheimer's Disease, The collaborative study involved 124 people, ages 65 to 88, in Tampa and Miami. "These intriguing results suggest that older adults with mild memory impairment who drink moderate levels of coffee -- about 3 cups a day -- will not convert to Alzheimer's disease -- or at least will experience a substantial delay before converting to Alzheimer's," said study lead author Dr. Chuanhai Cao, a neuroscientist at the USF College of Pharmacy and the USF Health Byrd Alzheimer's Institute. "The results from this study, along with our earlier studies in Alzheimer's mice, are very consistent in indicating that moderate daily caffeine/coffee intake throughout adulthood should appreciably protect against Alzheimer's disease later in life." The study shows this protection probably occurs even in older people with early signs of the disease, called mild cognitive impairment, or MCI. Patients with MCI already experience some short-term memory loss and initial Alzheimer's pathology in their brains. Each year, about 15 percent of MCI patients progress to full-blown Alzheimer's disease. The researchers focused on study participants with MCI, because many were destined to develop Alzheimer's within a few years. No one with MCI who later developed Alzheimer's had initial blood caffeine levels above a critical level of 1200 ng/ml – equivalent to drinking several cups of coffee a few hours before the blood sample was drawn. In contrast, many with stable MCI had blood caffeine levels higher than this critical level. This is a fascinating article..one that I would most likely not have had the opportunity to come across and read had it not been presented on the ARR website..many thanks, Bob DeMarco for making this article available. Anybody run studies on Amphetamines yet? Wow. I agree with Denise. I would probably not come across this study were it not for you Bob. Thanks so much. I am definitely encouraging my husband to drink more coffee as he is in the MCI or mild AD phase according to his neurologist. Also sending to the children.